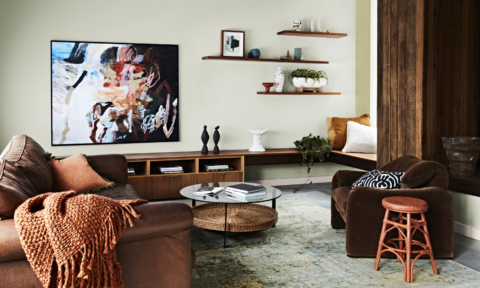 Just as Pantone’s Greenery was considered a calming antidote to the chaos and distraction of modern life, Taubmans’ 2019 Colour of the Year has similar aspirations. 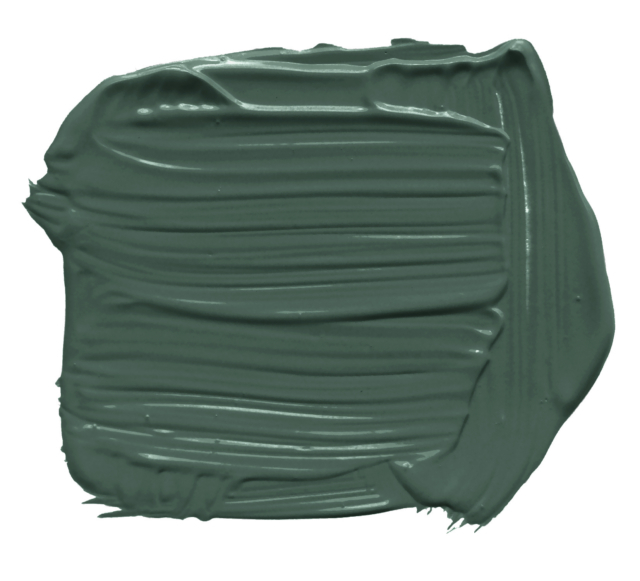 Called Night Watch, it’s a deep luxe green that is the perfect way to bring the outside in. It’s also bang on trend with indoor plants, jungle motifs and green of almost every shade popular at present. 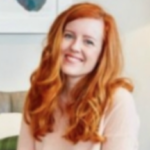 “Green is a colour we will be seeing so much more of in 2019, from forest to sea foam and all tints and shades in between. 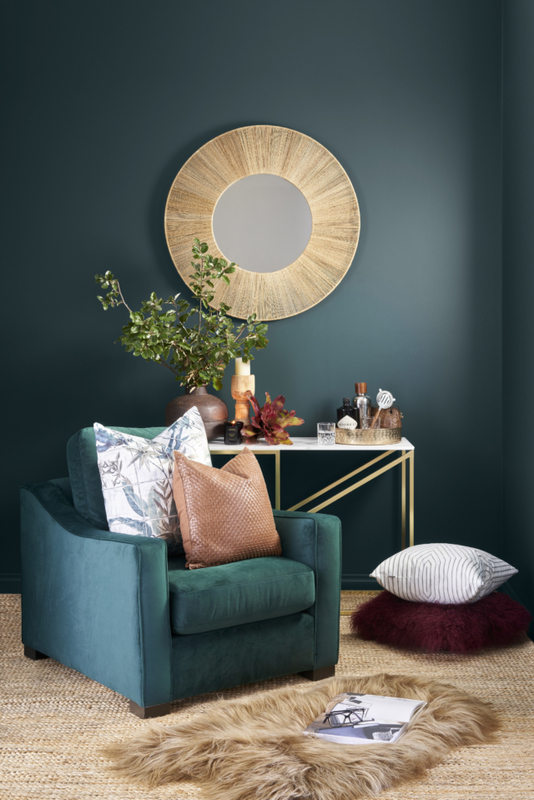 It makes perfect sense that we are seeking to bring the calmness and soothing power of Night Watch into our decor given the trend to bring the outdoors in,” says Taubmans colour consultant Grace Garrett. 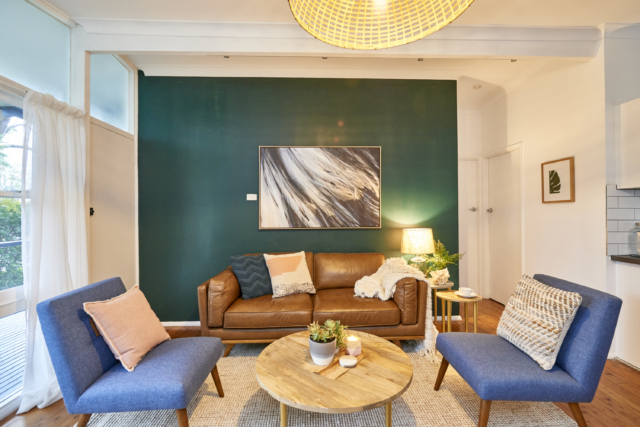 And with apartment living on the rise, and the 2016 Australian Census revealing that people in developed countries are spending 90 per cent of their time indoors, it makes sense that we are longing to bring some greenery inside. 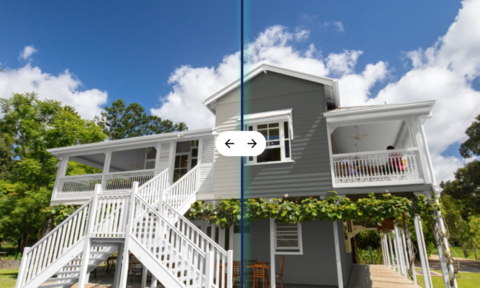 The dramatic green shade is also a highly adaptable one. “Night Watch uses a tone that can be adapted to an array of styles using a variety of furniture and accessories from the velvet and marble of Hollywood glamour to the raw, natural materials that belong to the eclectic and tribal trends. 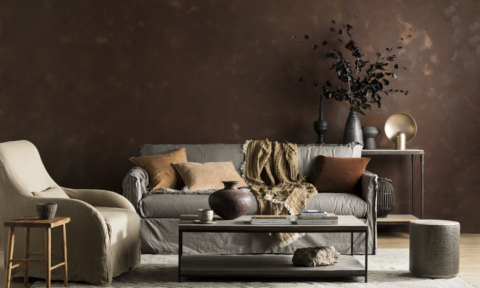 In terms of a colour palette, Night Watch’s versatility means it pairs well with a multitude of tones such as Taubmans Ionian, Dusky Taupe and Rusty Rail,” says Grace. 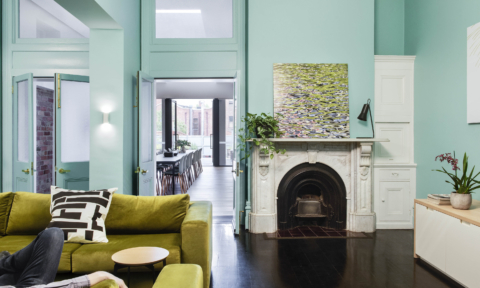 Master renovator Cherie Barber recently used the colour to transform a small apartment. 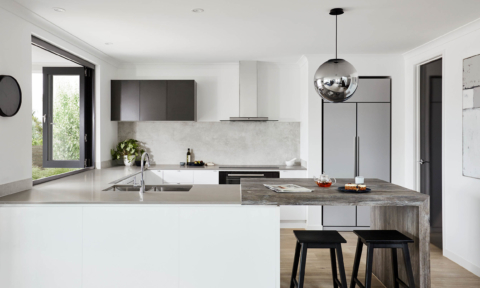 “I made over a small apartment using Taubmans Endure Interior in a matte finish to maximise the depth of colour. 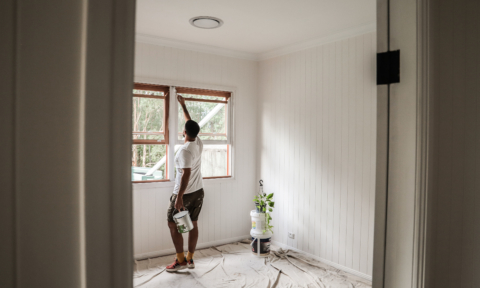 Creating a feature wall of Night Watch and using Taubmans Crisp White on the others means that you can bounce and regulate the light in the room. 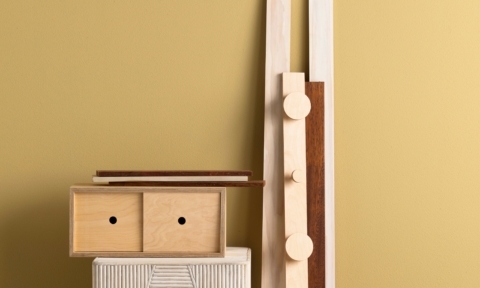 If you wanted to create a cosier feel, you could even use Night Watch on all of the walls,” says Cherie. 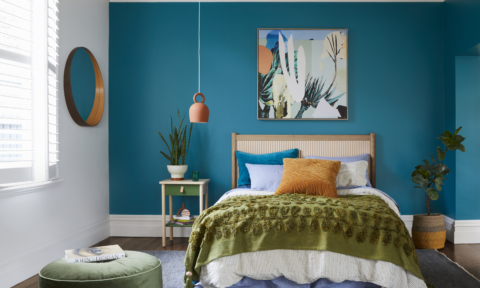 The Taubmans Colour of the Year is the result of an annual workshop that the paint brand holds, bringing together over 20 global colour stylists from the automotive, consumer electronics, aerospace and home paint industries. 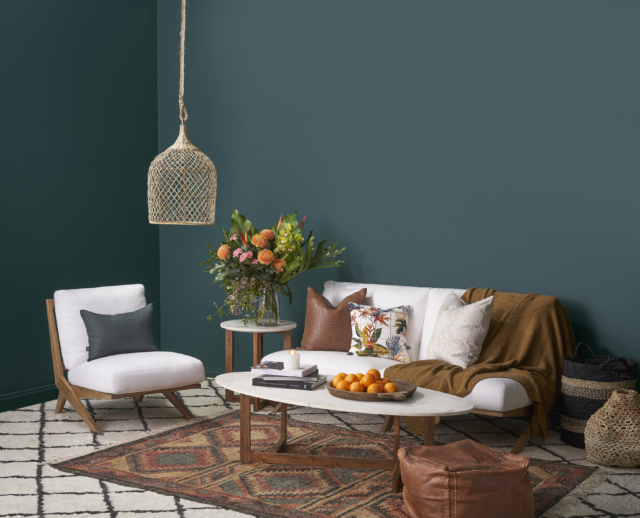 Night Watch is just one of the 200 colours in the brand’s 2019 Global Colour Trends Forecast which looks to guide homeowners, designers and architects alike.